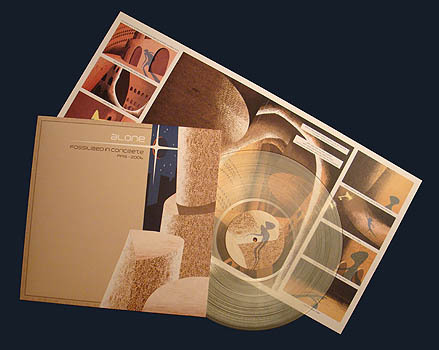 Created as an attempt to document an alternative history (or shall we say another dimension) of popular electronic music, ALONE from Belgrade have been active both as a performing and recording project since 1994 and already have to their credit numerous tape and CDR releases, including 5 full-length albums. Their style, eluding any pre-conceived categorisation, is a unique brand of high-tech electro-wave, allying the pathos and weirdness of KIRCHOHMFELD, the complexity and killing beat-programming of LASSIGUE BENDTHAUS and the unpredictability of PIERRE NORMAL. 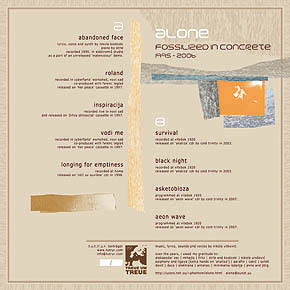 TREUE UM TREUE is very proud to present ALONE’s first ever vinyl release, a selection of 9 tracks spanning a period of almost 12 years, from the first demos down to the latest album. 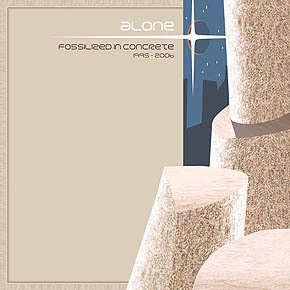 Definitely pop but never easy, futurist and neo-romantic at times, ALONE’s music remains through the years as unfamiliar and utterly compelling as the post-apocalyptic landscapes it tells us about. Like a voice from the outer world, ALONE takes us to the nexus in time and space where each may find their Golden Path.